Use Student Branding Workshops to ensure that your new branding reflects the voice of your student community. It’s been a popular time for student engagement sessions in recent months. Many of you now recognise the importance of involving students, staff and stakeholders in any plans to change your school’s identity. During the past school term, we have worked with more than 10 schools to facilitate this journey, with fantastic results! Each Student Branding Workshop we undertake provides students with an opportunity to understand the creative process involved in any new design, whether it’s a logo, a website or a prospectus project. In generating a new design concept, it’s important to focus on conversation: words, thoughts, answers and information are crucial before the sketching begins. 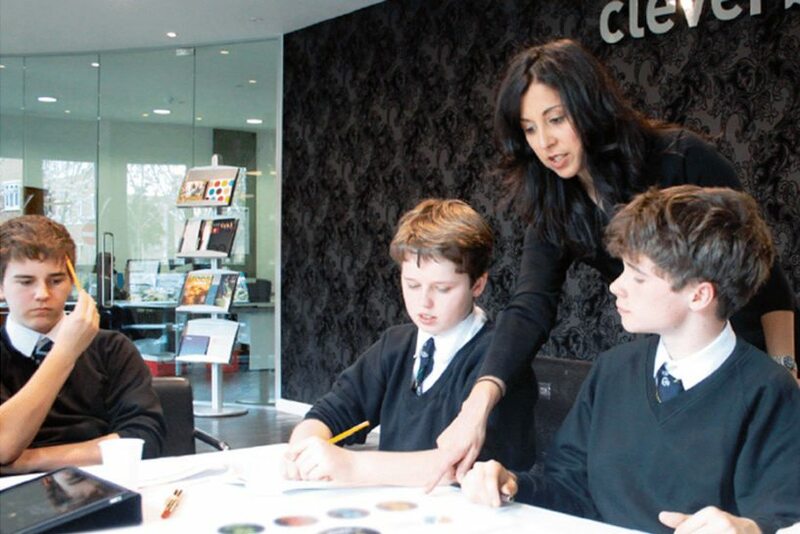 Cleverbox Student Engagement Sessions allow your students to play an active part in the creation of your new branding, ensuring that it is fully reflective of your school community.